Here is another review of a blog nominated for the 2014 Best Construction Blog competition. Nominations close on January 31, and then voting commences, through March 31. 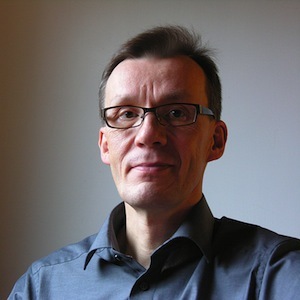 Finnish-based Aarni Heiskanen writes a refreshing comprehensive blog about AEC management and business practices in AEC Business: Business inspiration for Architects, Engineers and Contractors. You’ll find many gems here, including this podcast interview with Michael Stone (whose blog also has been nominated for the competition.) Although I’ve known Michael Stone for many years, I didn’t know the story of how he started his consulting business until I learned it in the AEC Business podcast. AEC-Business.com is a blog for business owners, managers, and developers in the architecture, engineering and construction industries. 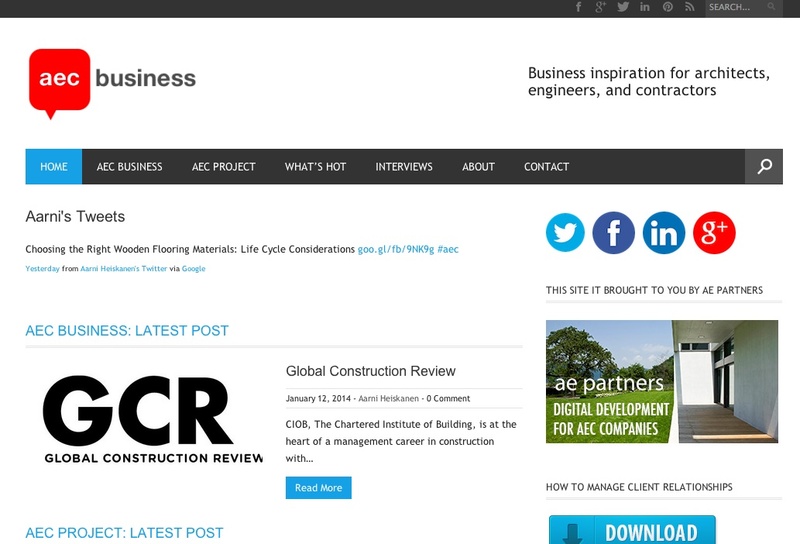 The blog has two sections: AEC Business and AEC Project. The former focuses on AEC firm management, the latter on construction project success. My goal is to share ideas, success stories, and tools and techniques that you can use to increase your company’s success. I have a master’s degree in architecture, and I worked as an architect and architectural R&D manager for over a decade. Gradually, I became more and more interested in innovative business development. I became an internet entrepreneur, and, later on, a certified management consultant. Today I’m a co-owner of AE Partners, a consultancy, and Thinking Business, which is a software company. Many of my management consulting clients are in the AEC industry. I’ve consulted for architects, engineers, contractors, IT developers, and their clients. Companies in the AEC industry have one quality that makes them different from many other firms. They create our built environment, and their work endures over decades or centuries. In that sense they have a great responsibility to people and the environment. Construction requires money and creates wealth, but sometimes it also destroys them. The industry’s output is closely linked to the swings of the economy. An important motivator for AEC firms to develop new business models is to make them less vulnerable to economic downturns. I believe that there is a lot of business potential in AEC. Combining the traditional strengths of the industry with innovative ways of doing business can create awesome results. Overall this blog is worthy of your bookmark and certainly is a strong contender for the 2014 Best Construction Blog competition.